Here comes NEW MESH COIL for Fireluke Mesh Tank. The Fireluke Mesh Coil breaks the traditional wire coil material which uses new Mesh Wire instead with 100% organic cotton wrapped. Its surface can fully touch the cotton and hits each point to absorb the e-liquid very effectively. The structure of mesh coil also make it get heated very evenly and quickly. Moreover, it greatly extends the life of coil and brings more pure flavor and vapor production! 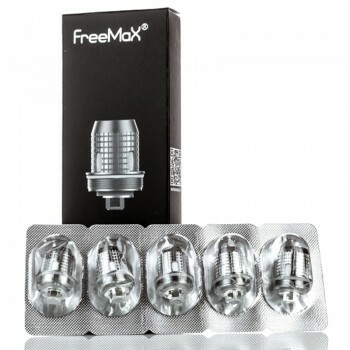 Just get them for your Fireluke Mesh tank to enjoy different vaping. 5pcs each pack.